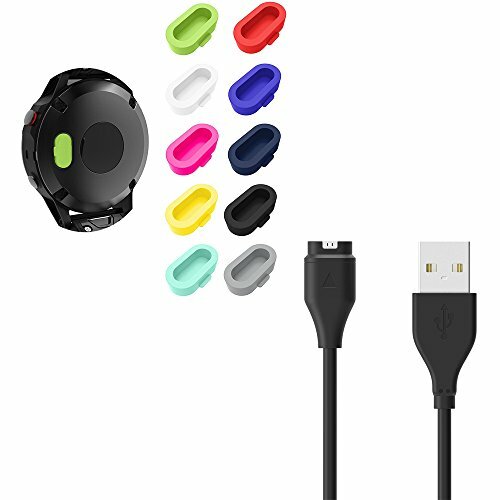 LDFAS Charger Cable (1 PACK) and Silicone Dust Plug Charger Port Protector (10 PACK) for Garmin Fenix 5S/5/5X Plus/Vivoactive 3/Vivosport/Forerunner 935/Approach S60/D2 Charlie/Quatix 5 Smartwatch by LDFAS at iShare Maps. MPN: GF050111. Hurry! Limited time offer. Offer valid only while supplies last.